Copenhagen Business School, often abbreviated and referred to as CBS, is a public university situated in Copenhagen, the capital of Denmark. CBS was established in 1917 by the Danish Society for the Advancement of Business Education and Research (FUHU), however, it wasn't until 1920 that accounting became the first full study programme at CBS. Today CBS has more than 20,000 students, 2,000 employees and offers a wide range of undergraduate and graduate programmes within business, typically with an interdisciplinary and international focus. CBS is accredited by EQUIS (European Quality Improvement System), AMBA (Association of MBAs), as well as AACSB (Association to Advance Collegiate Schools of Business), thus making it one of the few schools worldwide to hold the "triple-crown" accreditation, and along with Aarhus BSS, the only two in Denmark. CBS is ranked highly in an array of rankings. CBS' campus is located in Frederiksberg, close to the centre of Copenhagen, and centres on CBS' main campus Solbjerg Plads (finished in 2000). Since the Danish Universities Act of 2003, CBS has had a Board of Directors with an external majority. The Board of Directors appoints the President of CBS, who is currently Per Holten-Andersen. Most of the programmes are taught in English and more than 50% of the faculty is recruited from abroad, making CBS an international academic environment. CBS' academic strength is based on the way we combine several research fields within social sciences and business humanities with a view to illuminating societal challenges. Our business university profile is what gives us our unique brand in society. In order to strengthen interdisciplinary research, CBS has established Business in Society platforms which gather researchers from different departments around central themes such as maritime business development, competitiveness and entrepreneurship. The platforms aim to strengthen affiliations with the business community and public organisations as well as to create research and education at a high academic level. Read more about the platforms here. 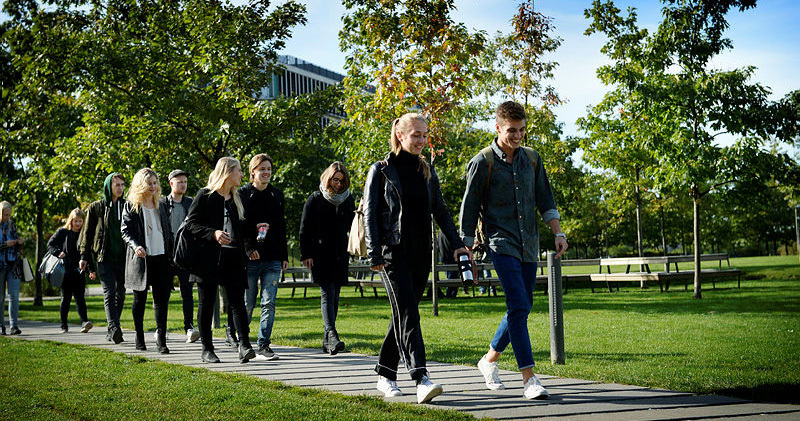 In addition, CBS hosts special academic initiatives such as the Danish National Research Foundation centre FRIC, which is focused on financial frictions, and our World Class Research Environments. These activities help brand the research quality of CBS and are considered an integrated part of the general focus on academic breadth. Read more about WCRE and FRIC. CBS has a particular responsibility to promote entrepreneurship and innovation in companies and public organisations. Entrepreneurial spirit and innovation are essential to the creation of a dynamic society and with that, increased welfare. Collaboration with public and private companies is thus a high priority at CBS – in the form of research projects contributing to the solution of current challenges. With its roots in Northern Europe, CBS wishes to play a crucial role in the debate on innovative and dynamic business models, organisation and financial structures, and responsible management and leadership. With the distinctiveness of its diversity, Copenhagen Business School aims to become a world-leading business university with research – and teaching – excellence in classical management disciplines (including finance and economics, accounting and operations management, marketing, strategic management and organisation) and in disciplines that place business in a wider social, political and cultural context.